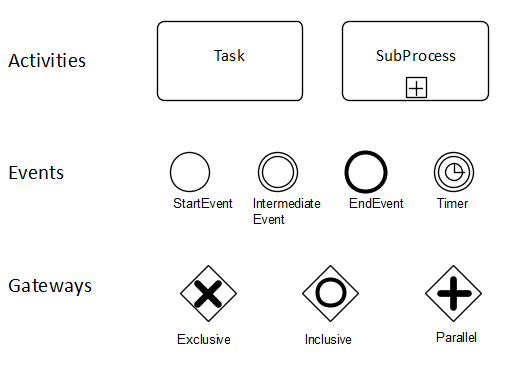 What is BPMN and what is it not? Business Process Modeling Notation is a graphical representation for specifying business processes in a business process model - swimlane diagram. It is also known as BPMN. Business Process Management Initiative (BPMI) developed BPMN, which has been maintained by the Object Management Group since the two organizations merged in 2005. As of March 2011, the current version of BPMN is 2.0. BPMN 0101. All flow objects other than start events, boundary events, and compensating activities must have an incoming sequence flow, if the process level includes any start or end events. BPMN 0102. All flow objects other than end events and compensating activities must have an outgoing sequence flow, if the process level includes any start or end events. BPMN 0105. A start event cannot have an incoming sequence flow. BPMN 0106. A start event cannot have an outgoing message flow. BPMN 0107. A start event with incoming message flow must have a Message trigger. BPMN 0109. A start event cannot have an Error trigger. BPMN 0111. A start event in a subprocess must have a None trigger. BPMN 0112. A boundary event must have an outgoing sequence flow. BPMN 01122. A boundary event trigger must be either Message, Timer, Signal, Error, Escalation, Conditional, Cancel, or Compensation. BPMN 01123. A boundary event cannot have incoming sequence flow. BPMN 01124. An Error boundary event on a subprocess requires a matching Error throw event. BPMN 01126. An Error boundary event cannot be non-interrupting. BPMN 01127. An Escalation boundary event on a subprocess requires a matching Escalation throw event. BPMN 0113. An intermediate event with incoming message flow must be catching type with Message trigger. BPMN 0114. An intermediate event with outgoing message flow must be throwing type with Message trigger. BPMN 01151. A throwing intermediate event result must be either Message, Signal, Escalation, Link, or Compensation. BPMN 01161. A catching intermediate event trigger must be either Message, Signal, Timer, Link, or Conditional. 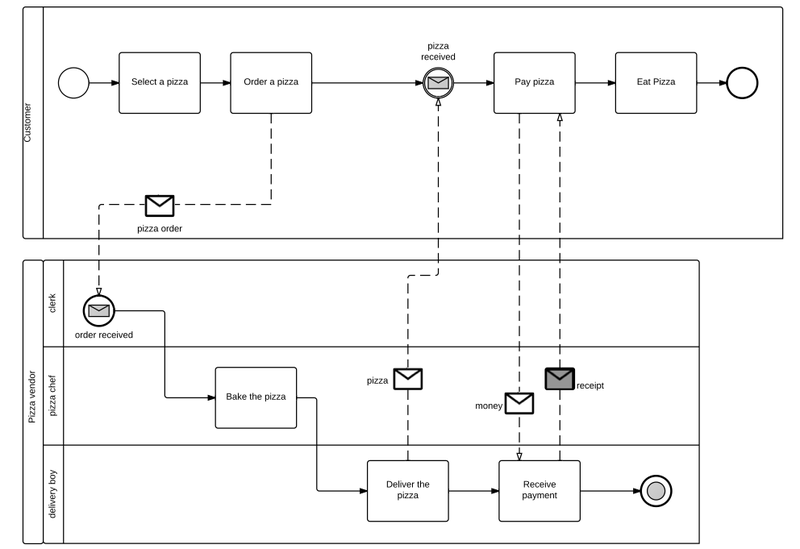 BPMN is the language at the moment for modeling processes quickly and understandable. The thing that is missing from BPMN is the link to software applications, for which Dragon1 and ArchiMate can be used.